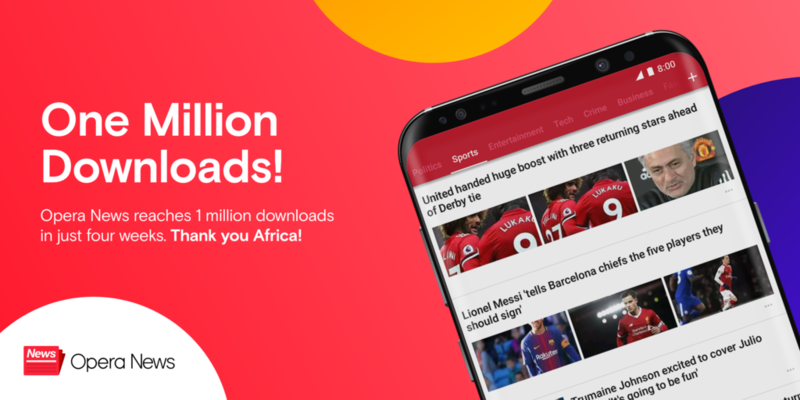 Opera News has reached 1 million downloads in Africa in 4 weeks Thank you! It’s time to celebrate! 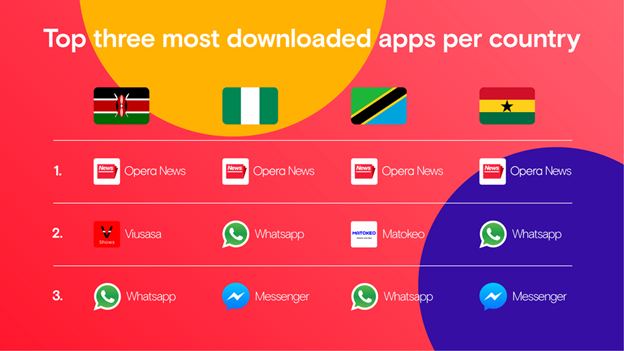 Today we are celebrating that our new app Opera News has reached more than 1 million downloads in the African region and has become the most downloaded news app in Nigeria, Ghana, Kenya and Tanzania as well as other countries. ‘Opera News’ was launched four weeks ago as a stand alone app designed to keep you up to date with the most relevant articles and news from all around the globe. 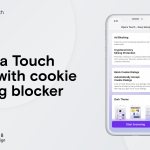 The news app works with a powerful recommendation engine powered by artificial intelligence and designed to keep people up-to-speed on all the things they love to read and watch.Guess what – it even gets smarter with every use! 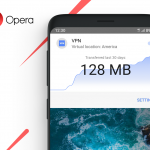 In addition, Opera News also includes the famous data saver which you can find in other Opera browsers for mobile devices. The app was first released in Benin, Burundi, Chad, Ivory Coast, Cameroon, Guinea, Senegal, Republic of the Congo, Mali, Burkina Faso, Niger, Nigeria, Madagascar, Rwanda, South Sudan, Malawi, Zimbabwe, Uganda, Zambia, Tanzania, Ghana, Kenya and South Africa. As you might know, at the beginning of the year we announced our new ‘Africa First’ strategy. This means that all our new products are first launched in African countries. We didn’t just say it but got going and announced we would be investing more than $100 million USD in Africa. Opera News is the first result of that investment and our first product launched exclusively on the continent. Opera News has been well received by users and has become the most downloaded news app in different countries. 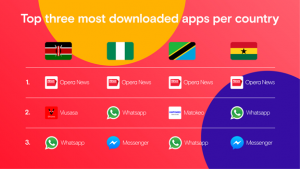 In some of them, including Kenya, Nigeria, Tanzania and Ghana, Opera News’ download numbers have even exceeded the numbers of other vastly popular apps such as Whatsapp, Facebook Messenger or Instagram. According to data from the Google Play Store, the app has received over two thousand user reviews and 80 percent of them gave it five stars! As the Opera team we want to thank you and you, and you too! We are very happy and thankful that you continue to trust our products and decided to check out Opera News. You can be sure that we will continue making our app even better and will keep delivering you news from around the world in an entertaining and fun way.